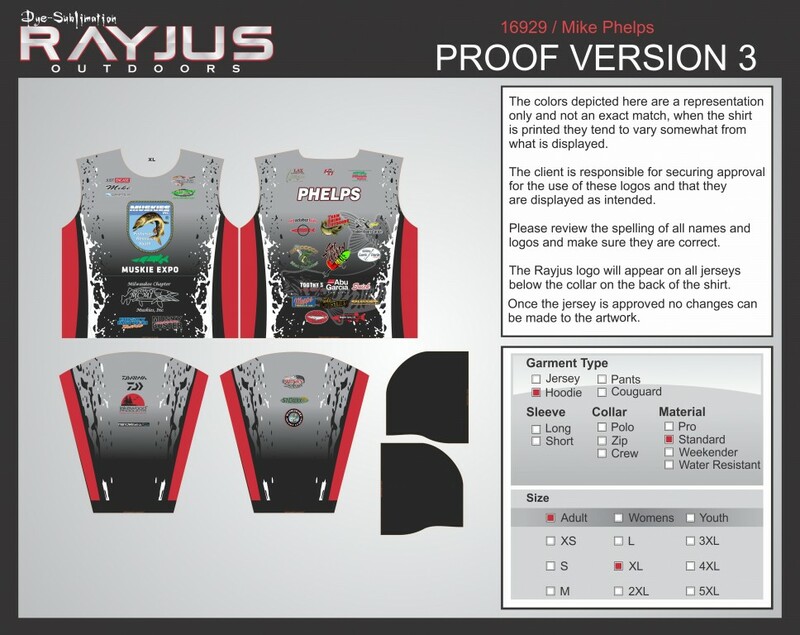 the parent organization of Muskies, Inc has worked with Rayjus to create a custom jersey, hoodie, etc. This is a fundraiser where proceeds from each item makes it to Muskies, Inc proper. A Milwaukee Chapter (Chapter #35) custom can be ordered if desired. Chuck and Manda from Rayjus have been nothing less than pleasant to work with. Attached is a proof showing front/back right/left sleeves requiring approval before production. Guess who ordered a hoodie…………….. So many support Muskies, Inc, and we appreciate such a passionate group of contributors.